The quickly absorbed day and night dry oil, Daytox Face Oil, with precious almond and argan oil nurtures the sensitive skin of face and neck and helps to stimulate the body's natural cell healing mechanisms. 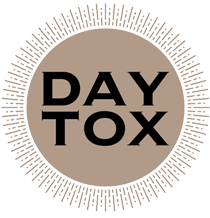 The quickly absorbed day and night dry oil, Daytox Face Oil, with precious almond and argan oil nurtures the sensitive skin of face and neck and helps to stimulate the body`s natural cell healing mechanisms. The luxurious blend of antioxidants, essential fatty acids and vitamin E supports the skin's rejuvenation process. The skin is revitalised overnight, feeling wonderfully refreshed in the morning. For a natural, complete anti-aging effect. Morning and evening after cleansing, put a few drops on the fingertips, apply gently onto the face and massage in.